We love seeing fresh meal ideas from our fans and bloggers! 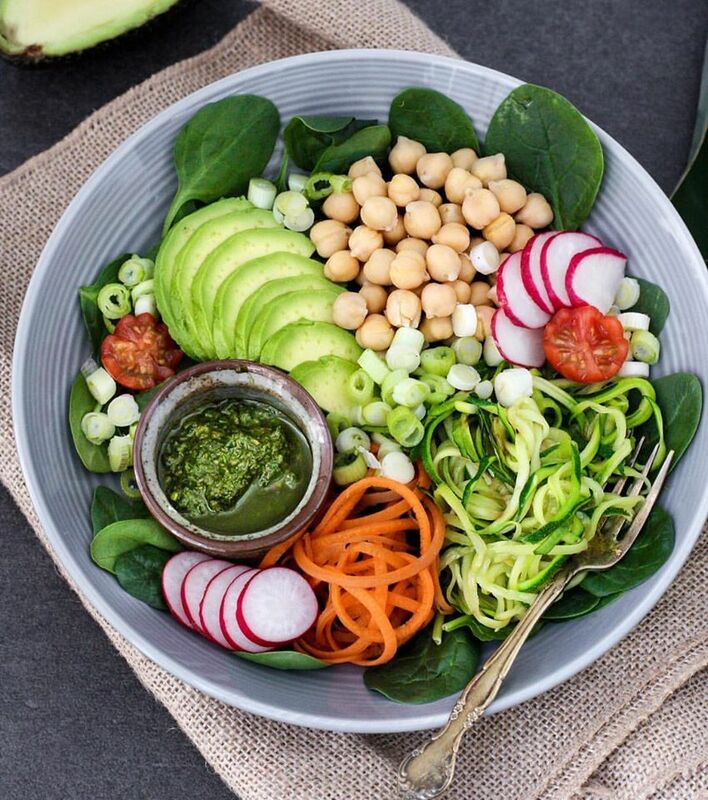 The talented Healthy Eating Jo created this incredible Pesto Chickpea Buddha Bowl with our Dairy Free Pesto. She explained, “Doesn’t pesto just make any meal that much more amazing! This is avocado, chickpeas, radish, sautéed zucchini, carrot, shallots, cherry tomatoes, baby spinach and Dairy Free Pesto from Roza’s Gourmet”. This is definitely on our must-try list for summer!